My TechRadar colleague Matt Swider wrote a very positive piece about why he’s excited about getting the Apple Card when it launches later this year (likely around August). It’s well-reasoned, with the thrust of his argument being that Apple is a company that's responsible when it comes to keeping your financial data secure. I’m very much behind that idea too – nobody should be able to share your financial data, but it’s quite hard to stop. However, I’m not someone that likes credit cards at all, and there are a few elements around Apple Card that give me pause. I have questions, and I went off to do some digging to see if they could be answered. Will Apple Arcade change the gaming industry forever? How easy is it to get? An offering of 2% cashback sounds great, but it’s also a little too enticing. It makes you want to spend money with Apple Card rather than other means – perhaps your debit card, where you have the cash already – and relies on customers being smart and dedicated to their financial health. We’re not so good at that as a society. I can see myself easily spending hard on a credit card that gives me that much cashback, thinking I’m being fiscally responsible by basically saving 2% every time I tap. In reality, that’s a slippery slope – and it brings me to my first couple of questions: how much will the APR be, and how easy will it be for me to apply for this card? 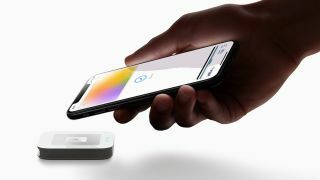 At the launch event Apple touted the fact that users can get the card in minutes, but it needs to make sure that users will be able to afford to use it. You could say that it’s about trusting adults to be smart with their money, that it’s not the responsibility of the provider to make sure they don’t get into debt. But like most people I’m terrible when it comes to letting myself have a treat now and again, and having a credit card with cashback that lives on their phone – one that can’t be put away in a drawer now and again – might be too much of a temptation for some. While we don’t know what the qualification will be, it’s good to know that there will be one in place, and that everyone can’t just sign up on their phone in seconds. Apart from a commitment to being competitive on interest rates, Apple didn’t say anything about interest rates for using the Apple Card. That seems to be at the lower end of the scale, so that’s good news – and huge kudos to Apple for scrapping all fees throughout use, as that can lead to a dangerous snowball effect. Sure, you'll still get charged interest as with any card, but being in debt won’t lead to more debt just because you’re in debt. Which neatly leads me on to my next question: why is there no debit card? I was really intrigued by a lot of the features that Apple Card offers: spending trends, being able to better monitor who you’re spending with and so on – but equally I'd love to use those features linked to my bank account, without worrying about overspending. In the UK, Monzo is proving to be a bit of an underground hit with those wanting to take more control with their money. It doesn’t have international fees, and it offers incredible transparency on what you’re spending and where. Apple Card seems to have a similar ethos, and it has the massive added benefit of being tied into your Apple ecosystem – so an Apple debit card would be enticing. The next question: when is it coming to the rest of the world? This is going to be one that drags on for a long, long time I think, because it depends on Apple working with financial authorities in different countries who – quite rightly – like to make sure everything is clear and above board before green-lighting a new provider. Perhaps the groundwork done with Apple Pay will help here, but it’s going to be galling for TechRadar's readers in places like the UK and Australia to hear that Apple News Plus is coming to their regions later this year, but there’s no information on when they’ll be able to pick up arguably the most interesting product announced at Apple’s latest unveiling. And the final, small question: what about the magnetic swipe? Apple touted 85% Apple Pay penetration in the US, but what about that other 15%? Sure, it’s got the fancy titanium Apple Card (something that’s clearly going to draw in a number of Apple fans just…. well, because it’s designed by Apple); but that card doesn’t appear to have a magnetic strip, and there’s no signature to check it against. Maybe this won’t be much of an issue, but there will likely be times when you can’t use your Apple Card.... then again, there are rare instances where the magnetic strip fails on a ‘normal’ credit card, so there are mechanisms around it. All the above isn’t saying that Apple is trying to encourage people to get into debt in any way – the messaging around privacy shows that the brand is keen to do things responsibly – but before I can muster even a flicker of excitement about Apple taking a step closer to becoming more bank-like, I’ll need to get the answers to these questions. It's Space Week on TechRadar, bringing you seven days of features and news exploring the wonders of our solar system and beyond.